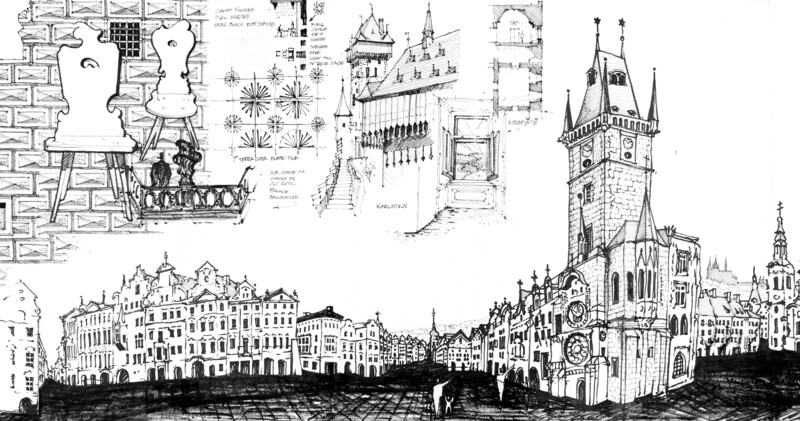 Author and illustrator: Charlie Szoradi is an architect, inventor, and the CEO of Independence LED Lighting. 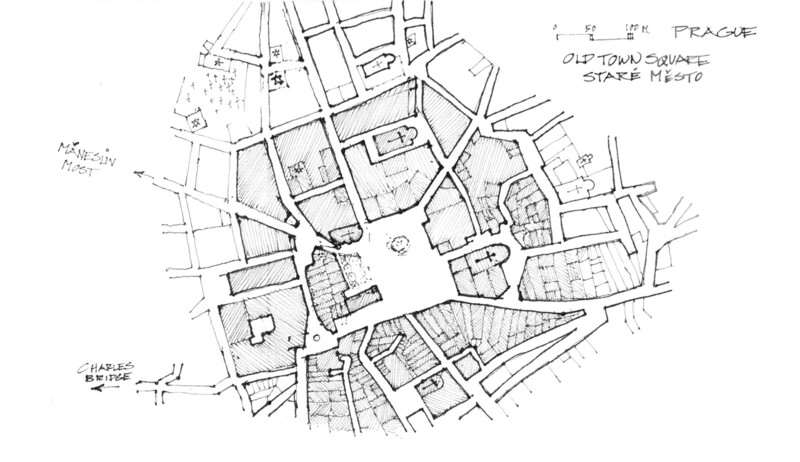 He writes about many other topics related to town planning such as Old Town Square through his extensive travels around the world. If you have found this posting online, it is an excerpt from Mr. Szoradi’s book Learn from Looking that served as the inspiring seed content for this drawing share resource. 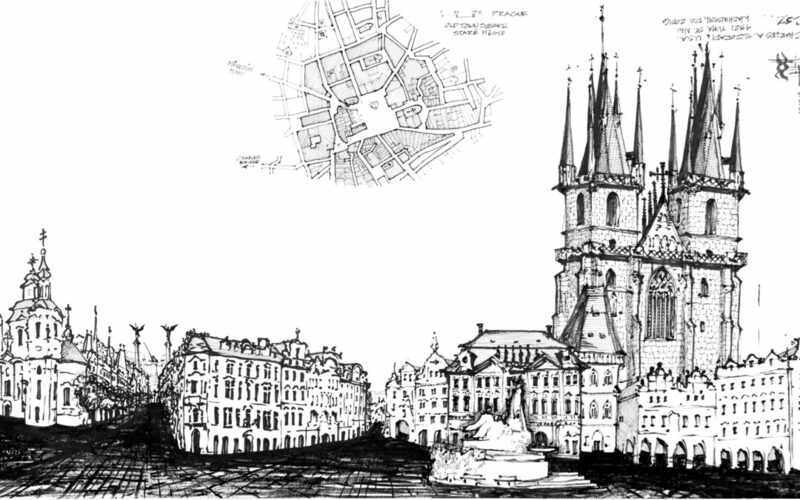 For additional drawings and insights on Old Town Square in Prague, we hope that you enjoy exploring LearnfromLooking.com. You can search via general terms such as sustainability as well as narrower terms such as suburban town centers or Old Town Square.